Updated the OP with GPS/GLONOSS/BT/Wifi. Thanks! Also added the bit from Pine64 forum about the SD being bootable (a very nice feature). Q: What kill switches are already confirmed? I know there are several, but I don't recall having seen exactly what hardware they're killing, e.g., modem, cameras, microphones, GPS, etc. @trainailleur re the switches on the actual phone, lets wait a few weeks to be completely certain. Its my understanding that the dev kit has: 1) mic; 2) cameras; 3) LTE; 4) Wifi/BT. Thanks. Sounds good, especially the mic kill switch, which is a timely feature given recent headlines. I concur about waiting for Phase 3 switches to be finalized before detailing them in the OP though. I had linked the dev kit wiki pages already, so I think that's good for now. If you think of anything else you'd like me to add to the original post, or anything you'd like me to update, just let me know. @PINE64 Sorry, i meant a GPS kill switch? @tera ah I see. Perhaps - we'll see whats possible. Numpty question: Doesn't the flight mode button act as a kill all switch? Will you be using a discrete GPS instead of one built onboard the cell modem? The degree to which a software switch can be trusted depends on one's trust in the software, drivers, and firmware of the device being killed. A hardware switch that cuts power to a device is in theory more trustworthy, assuming function of the switch has been properly verified. Whether or not one thinks that's necessary for any given device is a separate issue and a matter of personal taste and philosophy, but for any given piece of hardware, there's probably both a use case for killing it at the hardware level and a group of potential customers enthusiastic about that case yet unserved or underserved by existing phones. @trainailleur we'll be using the one built in with the modem, not a discrete one. I thought that was probably the case. This being so, I'd guess a modem kill switch will also kill GPS but GPS can't likely be killed via a hardware switch w/o also killing the modem. But I admit I'm not familiar with this card or how power into it is handled, so I could be wrong, and if I'm wrong, I'll learn something interesting. BTW, I know it's not promised at all, much less at launch, but I very much approve of the proposed keyboard case. That would be a brilliant accessory. Per tilim on #Pinephone, the choice of modem is not yet set in stone, so I've updated the note above (though I'm crossing my fingers that the original plan holds so that a world traveler won't need multiple devices). Also added a bit regarding the ease of disassembly. Re. the question asked near the end, I like the idea of an orange case. Thank you for sharing this link, @trainailleur - what a great advert for UBports! Each time they talked about the phone OS, they were talking about UT, and how impressed they are with it. 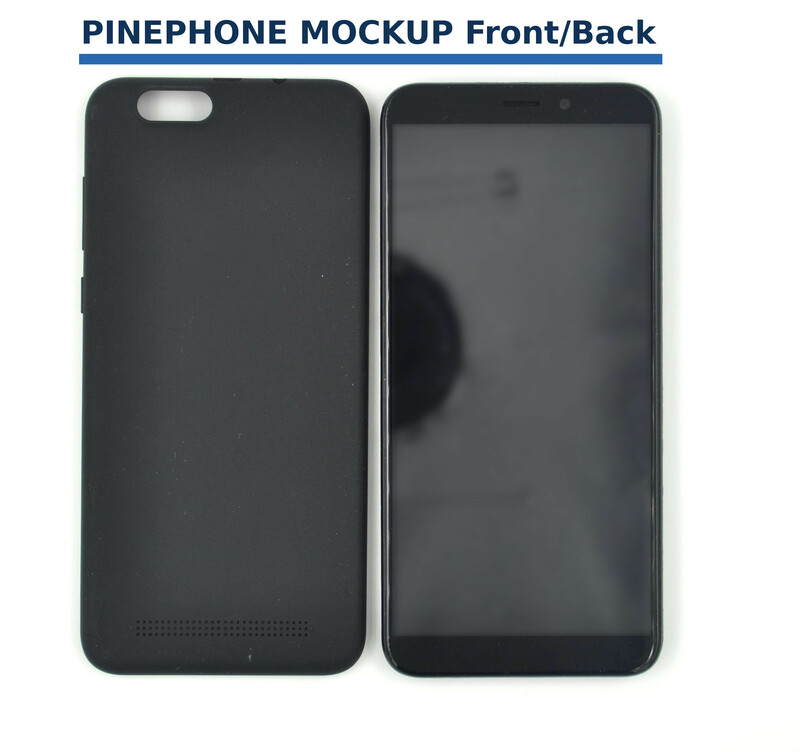 And it's fantastic that the first batch of Pine Phone will be released with UT in the 4th quarter. I do think it's a bit of a shame though (but perhaps fairly inevitable), that on the podcast, and on this thread to a certain extent, having announced some hardware, and making no bones about the fact that it's an entry-level device, that interested, eager, enthusiasts then ask for x, y, and z found on high end devices. But perhaps I'm looking at this from the wrong end: maybe there is a market for a Pine Phone plus... Maybe people will be prepared to shell out for a higher end device. One step at a time, I guess. Thank you for sharing this link, @trainailleur - what a great advert for UBports! Just to be clear, @PINE64 shared the podcast link. It is indeed well worth a listen for those who can spare the time. The time taken doesn't have to be the full hour; I downloaded it so that I could replay it at higher speed in VLC. @trainailleur @PINE64 Oops. Sorry, I see that now.